Must register by June 3, 2019; register asap as certain weeks may sell out; to register, please email your certificate(s) with the name(s) of your children to gan@aju.edu. If you are a new camper who has already enrolled in Gan Alonim for this summer, please call camp about this deal at (877) 225-6646. 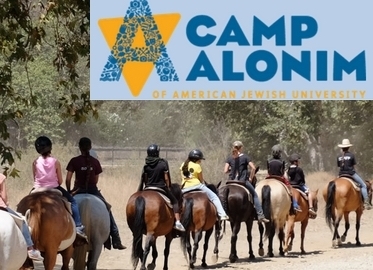 Well, we are excited to report that Conejo Deals has teamed up with one of the best day camps around, Gan Alonim Day Camp, to bring you today’s deal! Get either 3 days of camp for just $99 (regularly $177) or 5 days of camp for $159 (value $295)! Gan Alonim is located in the beautiful hills of Simi Valley on 2,700 get-away-from-it all acres. It is a Jewish camp, but absolutely everyone is welcome. You can drop kids off at 9:00 am and pick them up at 3:30 pm tired and happy, or you can send them on one of several camp buses.